With expenditures on the rise and the job market becoming tougher by the day, it is fairly genuine for the college graduates to be concerned of their future earning potential. If you have ever found yourself wondering, which careers pay the best, then continuing reading this blog. 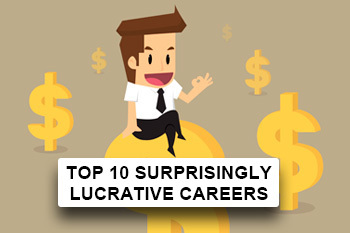 Below is a list of the top 10 surprisingly lucrative careers based on median wages with data provided by the US Bureau of Labor Statistics (BLS). The highest paying job in the field of medicine is that of an internist. Internists are physicians who diagnose and non-surgically treat internal organs related diseases and injuries. Conditions relating to the digestive tract, glands and other major organs are treated by these doctors. With additional training, they can become specialists such as endocrinologists, cardiologists or gastroenterologists. Dentists are professionals who deal with problems relating to teeth, gums and other parts of the mouth. They provide medication, diagnosis and advice on diet choices for oral health. The median salary figure of $163,450 is related to specialists such as oral pathologists, endodontists or periodontists. These professionals differ from general dentists and specialize in particular areas of dental science. Nurse anesthetists administer anesthesia, supervise patient’s vital signs and patient’s recovery from anesthesia. They are also sometimes in charge of assisting anesthesiologists, physicians, surgeons or dentists. These professionals have a unique approach to patient care, involving a balanced blend of pharmacology and physiology and an added element of providing emotional support for patients. To be able to practice, these individuals need to be certified registered nurse anesthetists (CRNAs). In the vast field of engineering, petroleum engineering is one of the most lucrative fields, with a high median salary of $132,320, as of May 2013. The job growth in this field for the 2012-2022 decade is 26%. Petroleum engineers design, formulate and develop ways of extracting oil and gas deposits from the earth’s surface. They also locate the dig sites. Furthermore, they may design and construct the machines to carry out the extraction procedures, and oversee the removal and processing of petroleum and related by-products. They typically work in offices or research labs, and are occasionally required to spend time at drilling sites. The most lucrative information technology career is in computers and information systems management, with a median annual wage of $123,950, as of May 2013. In addition, the predicted job growth rate for the 2012-2022 decade is 15%. Often referred to as IT managers, these individuals are required to plan, coordinate and carry out computer related activities for an organization. They help organizations understand their technology needs, set goals for them and assist them in implementing changes as technology continuously changes. Software development, network security and internet operations all fall under the responsibilities of a computer and information systems manager. The field of business is undoubtedly vast and rewarding, making it the most popular major across the United States. Total enrollment in the bachelor of business management degree was higher than that of any other degree between 2000 and 2012. 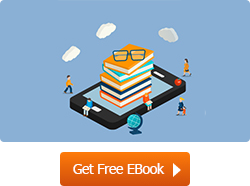 Marketing managers plan, coordinate, direct and formulate marketing policies and programs. They determine the demand of products and services provided by a company and its competitors, identify potential market segments and define demographics for specific products. These managers develop pricing methodologies with the target of maximizing profits or market share. Product development, identification of potential customers and indicating the need for new products forms part of a marketing manager’s job. Air traffic controllers are typically responsible for issuing landing and takeoff instructions to pilots, monitoring and directing aircraft movement on the ground and in the air. Managing communication forms an integral part of an air traffic controller’s job; administrating departing and incoming flights, providing information to pilots regarding weather changes, runway closures and emergency responses. Pharmacists are responsible for filling out prescriptions based on physicians’ instructions. They advise patients on how and when to take the prescribed amount of medication. They also instruct patients about general health related topics. The demand for pharmacists is on the rise due to the number of people requiring prescribed medication increasing each year. Over a period of 15 years (1995-2010), there was a 73% increase in the number of prescriptions filled according to the National Association of Chain Drug Stores. The field of law is lucrative, with careers paying as high as $118,150, according to the May 2013 data. Judges, magistrate judges and magistrates carry out various legal duties. They have the authority to pass a judgment, in accordance with law. The last spot on our list for the top 10 surprisingly lucrative careers goes to natural science managers. These professionals are in-charge of supervising the work of scientists, chemists, physicists and biologists. They supervise activities such as research and development, testing, production, quality control and evaluation of scientific strategy. Budgeting major projects, training staff and determining equipment needs, is what these professionals do. Due to the highly specialized nature of this career, few people end up majoring in natural sciences, creating a lucrative niche, ready to be exploited. Despite the rising cost of college tuition, going to college is however still wise. Not all college students graduate as equals; some will have better paying careers than others. The abovementioned careers are therefore listed for you to make the right decision.